VIDES Philippines once again invites you to experience a night of good music, good food, and great company. 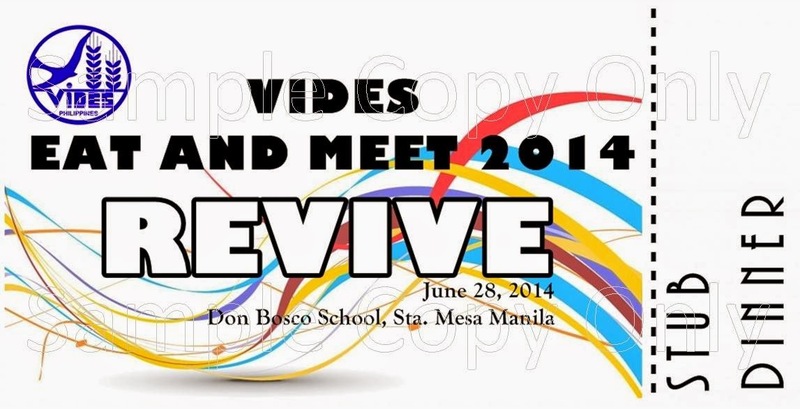 This year’s Eat and Meet Dinner for a Cause will be held on 05 July 2014 (Saturday),6:00 pm to 9:00 pm at Don Bosco School Manila,V. Mapa Extension, Sta. Mesa, Manila. Tickets are sold for only P500.00 each! Proceeds will fund the various educational, livelihood, and outreach programs and projects of the organization. Please call the VIDES Office at 703-5606 for ticket reservations and other inquiries.